This guide is designed to assist students enrolled in Child Development courses with locating Library resources for their research assignments. The guide is organized into steps that cover the basic research process for locating and citing relevant sources used in writing a paper or other projects. For general research assistance other than Child Development, view the links listed under Research Tools. Child Trends is the nation’s leading nonprofit research organization focused exclusively on improving the lives and prospects of children, youth, and their families. Use the "Our Research" tab to search by topic. A leading non-partisan national, state and local research, policy development, and advocacy organization dedicated to improving children's overall well-being. Website contains sections on "Issues Areas" and "Reports & Research" providing information related to education, health, and child welfare. Books, eBooks, and other Library materials can be searched using the Online Catalog. Books for Child Development are located in sections HQ 767–792C in the Library's collection. There are two main categories of books: general and reference. General books (located in the "Stacks" on the lower floor) can be checked out and are often used for more in-depth research. Reference books (located on the upper floor) do not circulate but can be useful for acquiring an overview on a topic. 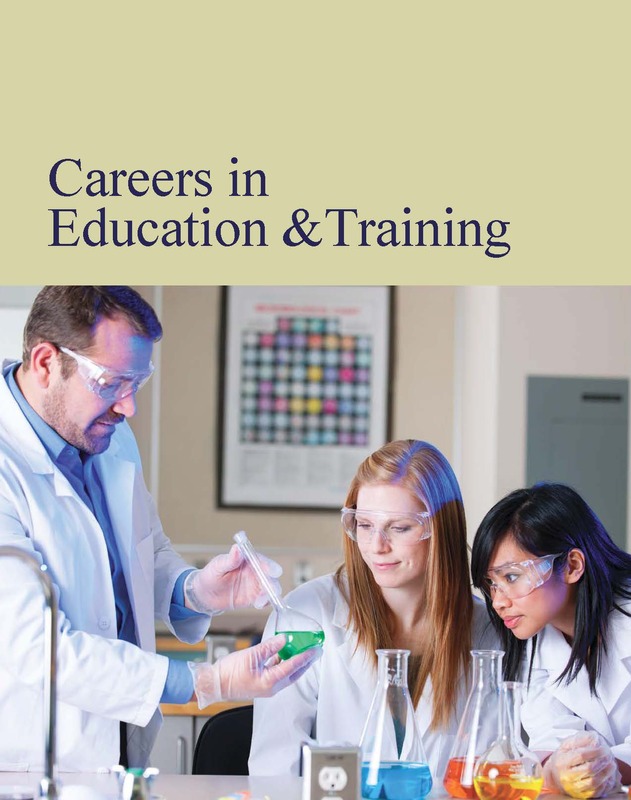 Serves as a stepping stone in understanding specific careers and provides a wealth of information on the education and training needed within each profession along with a look towards the future of the field with an informative employment outlook. Designed to provide a solid foundation for the research of various educational topics. This volume offers an introduction to childhood development and the impact that childcare and early education programs can have on the learning process. A four-volume encyclopedia featuring articles on the controversies, theories, policies, practices, organizations, and individuals in the field of early childhood education in the United States and selected other countries. Areas covered include an overview of American education; primary, elementary, and secondary schools; public versus private schooling; special education; education of gifted children; testing and achievement of students; national education goals; and "at-risk" students. Discusses colleges and universities; issues such as home schooling, school choice, and vouchers; trends in teacher supply and demand; and public opinions about education. Volume 1. History of education ; Education theory ; Education psychology ; Education and the law ; Politics, government & education ; School administration & policy ; Public school education ; Higher education ; School safety -- Volume 2. Multicultural & diversity education ; Curriculum and organization ; Early childhood education ; Guidance & counseling ; Teaching methods ; Special education ; ESOL ; Physical education -- Volume 3. Technology in education ; Testing and evaluation ; Alternative education ; Extended learning ; Service learning ; Teacher education ; Adult education ; International perspectives. Encyclopedia of Child Behavior and Development by Sam Goldstein and Jack A. Naglieri, eds. Publication Date: 2015, 7th ed. Contains contributions from the major thought leaders in their respective specialties, this four-volume set provides comprehensive coverage of developmental science, including detailed explanations of major theories and methods. Getting started -- Recording a child's behavior during routines -- Recording a child's use of materials -- Recording children's behavior with one another -- Recording children's behavior in dramatic play -- Recording the child's relationships with adults and in adult-directed activities -- Clues to cognitive functioning: developmental approach -- Clues to cognitive functioning: individual approach -- Observing children develop the power to think -- Recording children's developing language and emerging literacy -- Recording behaviors that are disquieting -- Observing and recording the behavior of infants and toddlers -- Patterns: summary and interpretation. Presents advanced research, accurate practical applications of research, historical foundations and key facts from the field of contemporary early childhood education. Includes all areas of child development - physical, cognitive, language, social, emotional, aesthetic - as well as a review of best educational practices with young children, effective preparation for early childhood professionals and policy making practices. 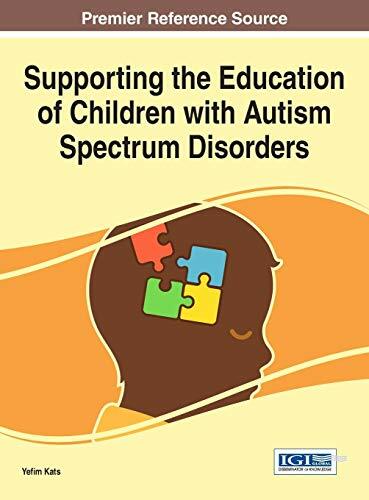 Supporting the Education of Children with Autism Spectrum Disorders focuses on a well-rounded approach to special education, including perspectives on administration and leadership, course development, psychological and counseling support, educational technologies, and classroom management strategies. Emphasizing timely research focused on creating opportune learning environments for children on the autism spectrum, this publication is an essential reference source for educators, school administrators, graduate-level students, and researchers in the field of education. Twenty Studies That Revolutionized Child Psychology gives students a systematic look at the process of child psychology research by examining the twenty most revolutionary scientific investigations in the field over the course of the last fifty years. ACEI is an international organization driven by the belief that education is essential to human development. Childhood Education has the bimonthly journal of the Association for Childhood Education International (ACEI). Print issues are available in the Library: 1984 (v.61) - 2000 (v.86); 2013 (v.89) to current. YC is the official peer-reviewed journal of the National Association for the Education of Young Children. Issues are organized around topics important to the early childhood education field. Selected articles from back issues (2010-Vol. 65 to current) are available online. Print issues are available in the Library: May 2002 (vol. 57) - Jan 2010 (vol. 65); 2012 (vol. 68) to current. Center for Disease Control (CDC) website for Child Development. Contains facts, research, parenting tips (ages 0-17), data and statistics, mental health, and more. The Federal Interagency Forum on Child and Family Statistics (the Forum) published its signature report, America's Children: Key National Indicators of Well-Being, 2015. This report features statistics on children and families in the United States across a range of domains, including family and social environment, economic circumstances, health care, physical environment and safety, behavior, education, and health. A full-text online journal published by the Early Childhood and Parenting Collaborative (ECPC). Issues are searchable by keyword back to 1999. First 5 California was created by voters under Proposition 10 to recognize that children's health and education is a top priority, especially in the early years of development. A private foundation that promotes the well-being of children. Click on "Our Work" to access research publications on FCD programs. ACEI is a charitable organization dedicated to promoting the optimal education and development of children in a changing world through various programs and projects. Publications: Childhood Education journal (Available in the Library). NAEYC is a professional membership organization that works to promote high-quality early learning for all young children, birth through age 8. The association also provides publications, events, professional development, and accreditation standards for early childhood programs across the country. Publications: YC: Young Children journal (Available in the Library). The Library maintains a collection of instructor reserve materials. These consist of textbooks, videos, and supplemental course materials that instructors have put in the Library for student use. To find what materials are available for Child Development, search Course Reserves in the Online Catalog. It is best to search by "Course Number" (ex. CHDV 100) in that an instructor other than yours may have placed an item on reserve. Materials can be requested at the Periodicals counter and generally must be used in the Library on a two-hour loan period. Photocopy machines are available for 10¢ a copy.